When I first inherited my Great Aunt Beulah's genealogy research it was pretty disorganized and quite overwhelming. I knew little of the Morse family beyond that they had come from Muskegon, Michigan before they settled in Michigan City, Indiana. As I worked my way through her papers I found clues that eventually led me back to Maine! I was excited as I began to read all that I could about the state and the record sets available. Later, I had the opportunity to go to the very same area where my ancestors had once lived. What a fantastic experience that has spurred me on to learn even more about the great state of Maine. Here are some resources available to you as you begin your own search for your Maine ancestors. English and French explorers began settling in Maine as early as the 1600s, though it wasn't until 1759 that many settlements were able to last. 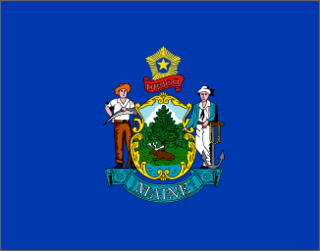 Maine was considered part of the state of Massachusetts until 1820 when it became its own state as part of the Missouri Compromise. Before 1760 the entire state of Maine was considered York County. Between 1760 and 1820 there were three counties: York, Lincoln, and Cumberland. Once Maine became its own state, its counties became more numerous and borders changed. Be sure to take a look at the Newberry Library's Atlas of Historical County Boundaries during the various time periods you are researching. Be sure to read "Challenges of the New England Border States" by Betty Malesky for more specifics on the history of Maine. In 1892, Maine instituted statewide vital records. Records from 1892-1922 have been sent to the Maine State Archives. Many pre-1892 records were kept in their respective town offices and some were copied and sent to the Maine State Archives. Vital records from 1923 to the present are available from the Maine Vital Records. 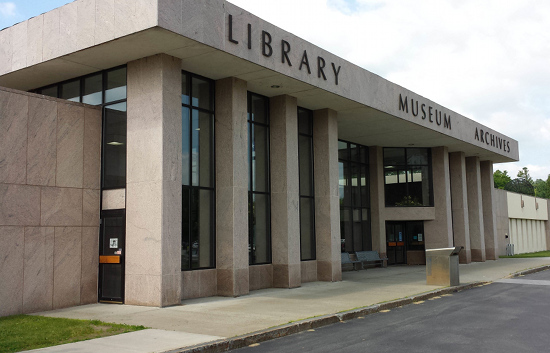 This summer I was fortunate to be able to visit the Maine State Library, Archives, and Museum complex located in Augusta, Maine. I spent two days researching there and could easily have spent more time. I found the staff at the Archives and the Library to be very helpful and offered me a lot of great advice for my research. The Maine State Library houses city directories, cemetery indexes, histories, genealogies, church registers, census records, passenger lists and immigration records, newspapers, wills, deeds, and probate records. Be sure to check out their catalog so that you can have a plan of attack when you walk in the door. The library also has a fair number of Massachusetts information that could be beneficial if you are interested in the pre-1820 time period. The Maine State Archives houses a variety of documents including: vital records (pre-1923), land office records, military records, judicial records, legislative records, and town historical documents. The archives will require that you lock up your personal items in the provided lockers, but you can bring in a notebook and pencil for your use while researching. Copies do cost extra, but it is a nominal fee in my opinion. Maine State Archives. Photo by Jennifer Alford. The John Marshall and Alida Carroll Brown Research Library hosts the collection of the Maine Historical Society and is located in Portland. The Society has an online collection that is available to members, but also has some public databases that can be accessed. The library has over 6,000 compiled family genealogies, state, county, and local histories, biographical resources, lineage society records, vital records, census records, obituaries, cemetery records, annual town reports, directories, yearbooks, and much more. Although I have not had the opportunity to visit the library myself,, I have been assured that it is one of the best places to research your Maine ancestors. Your first visit is free if you are not a member, but after that there is a $10 charge per visit. As I mentioned, early records for Maine may be located in the town office or may be at the New England Historic Genealogical Society. This library is located in Boston, Massachusetts and has an extensive collection that is best served by visiting their website. They host millions of documents, manuscripts, books, and electronic resources that will help in your research. Members have access to additional online databases that are not available to the public. My last on-site recommendation to you as you research your Maine ancestors is to visit the town or county itself. Be sure to call ahead to make sure that the hours posted on their website (if they have one) are correct and that there are no surprises about what is available. Often these offices have limited time to assist in research so a call ahead can make sure that they can pull records ahead of time. You might also want to plan a visit to the local library or historical society as well. When I visited Friendship this summer I was fortunate to meet many wonderful people that took me all over the town to help find where my ancestors were buried. I visited their local museum and the library and found new clues and information on the lives of my ancestors. Sometimes, a simple call ahead (or email) is all it takes to make a new local contact that could potentially help you with your research when you are back at home again. The number of online resources for researching Maine continues to grow at a pace that makes it challenging to keep up with all that is available. One of the best starting points for finding websites is the Maine GenWeb site. Maintained by volunteers, I have found excellent direction on resources available. Archives.com has a growing number of collections for the state of Maine. Some highlights include vital records, yearbooks, newspapers, obituaries, and census records. Be sure to try the Public Records Wizard for the counties of Maine. This tool provides you with the contact information for the local county offices. The Maine Genealogical Society has a varied collection of publications that can be helpful. Maine Genealogy is a great place to connect with others and perform basic searches that will take you to further resources. They host a forum, groups, blogs, photos, reference pages, and search databases. As you continue to become more familiar with Maine you'll enjoy the Maine Memory Network which hosts photos, stories, and other heirlooms associated with the state. Maine has some wonderful resources for climbing your family tree. Exploring these resources - both online and off - will help you discover more about your Maine ancestors.